1. 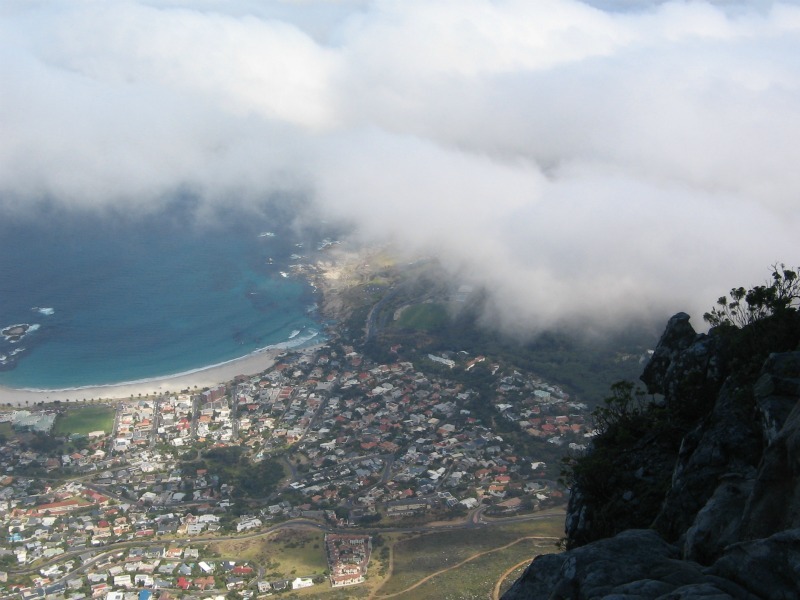 After two tries during previous trips, I finally made it up Table Mountain. The third time is a charm, and the view was spectacular. 2. Jen, Ali (our host), and I attended a reception for Proudly Macassar Pottery, a job creation program that empowers young men, teaching them how to make Udu drums and ocarina-like flutes from clay. 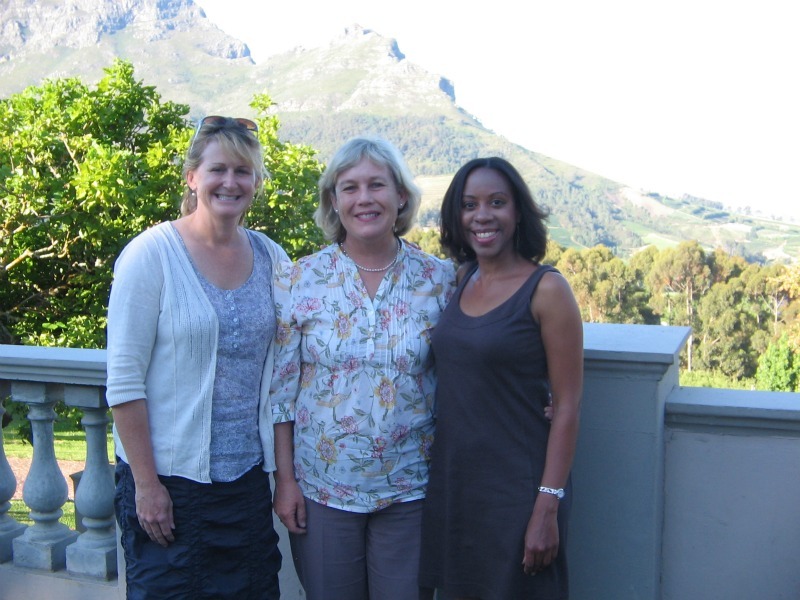 It was a fun-filled evening in the heart of South Africa’s wine country. 3. While touring False Bay, I met Alfred, a refugee from Zimbabwe. 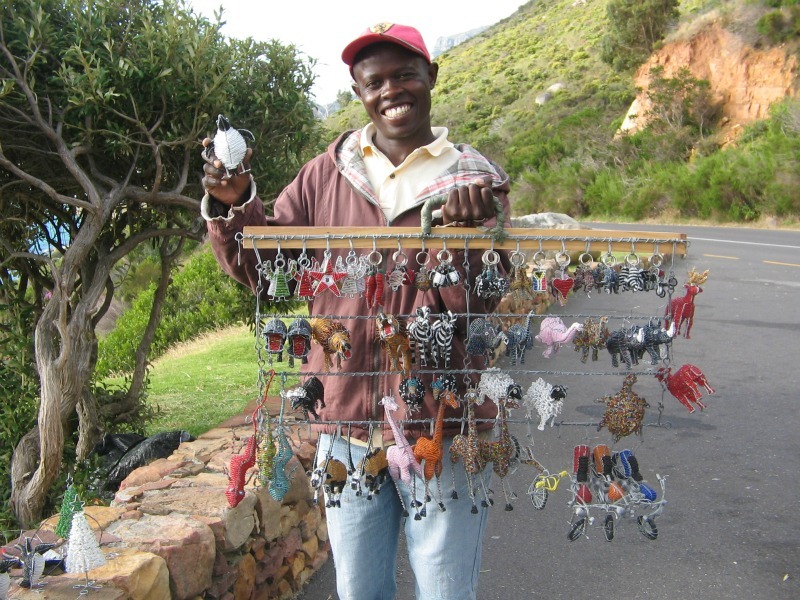 Like many refugees in South Africa, Alfred depends on his handiwork to make a living. 4. One afternoon, I attended a special prayer time at a local Anglican church. Several parishioners had been praying for me for weeks, and they wanted to meet and pray with me. It was a very special time, and I felt humbled to know that people who I didn’t even know existed were praying for God’s guidance in my life. 5. 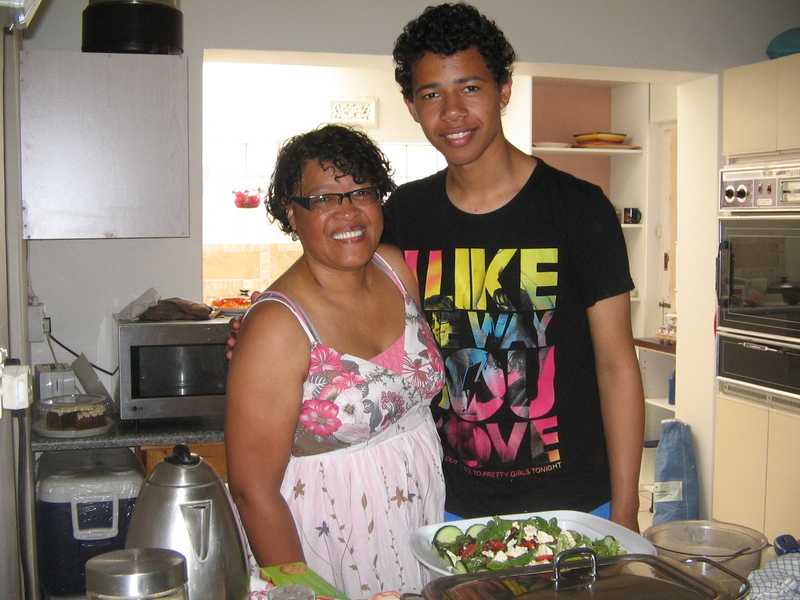 Over the weekend, Jen and I attended a camp for students who recently completed a Scripture Union lifeskill course. 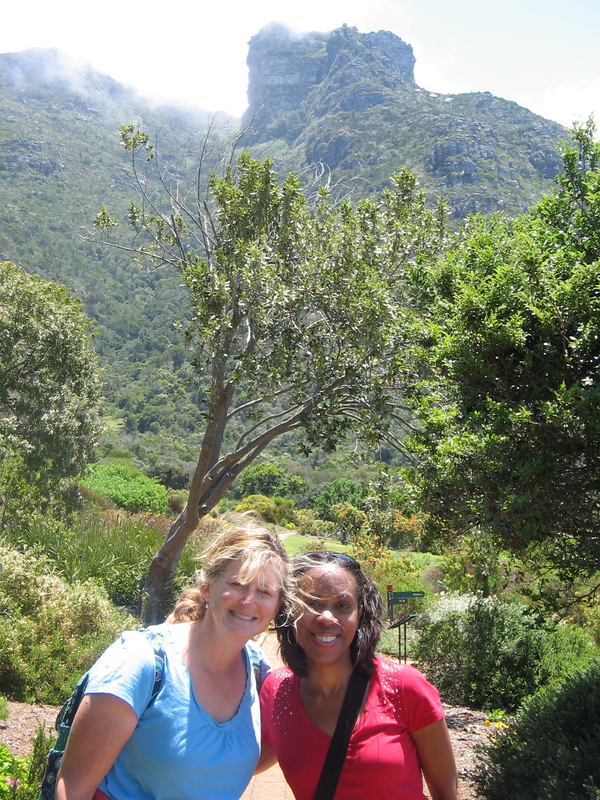 In the mountains of beautiful Franschhoek, we bonded with the campers and leaders. 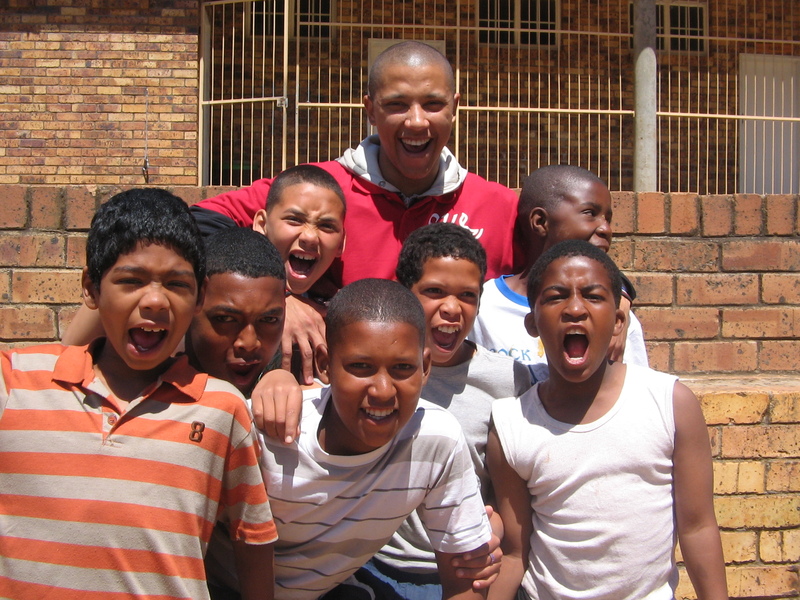 All of the students come from disadvantaged backgrounds and live in the Cape Town townships. 6. Sunday afternoon, a new friend invited us to her house for lunch. It was a lunch on par with a Christmas dinner. Estelle and her family truly have the gift of hospitality. 7. It’s always a treat to spend time with my South African “family” in Johannesburg, and this time was no exception. We stayed with Father Xolani and Mathabo Dlwati and were able to spend some time with friends from St. Thomas Anglican Church. Lu, the Dlwatis’s precocious little boy, had Jen and I in stitches with his witty sayings. 8. 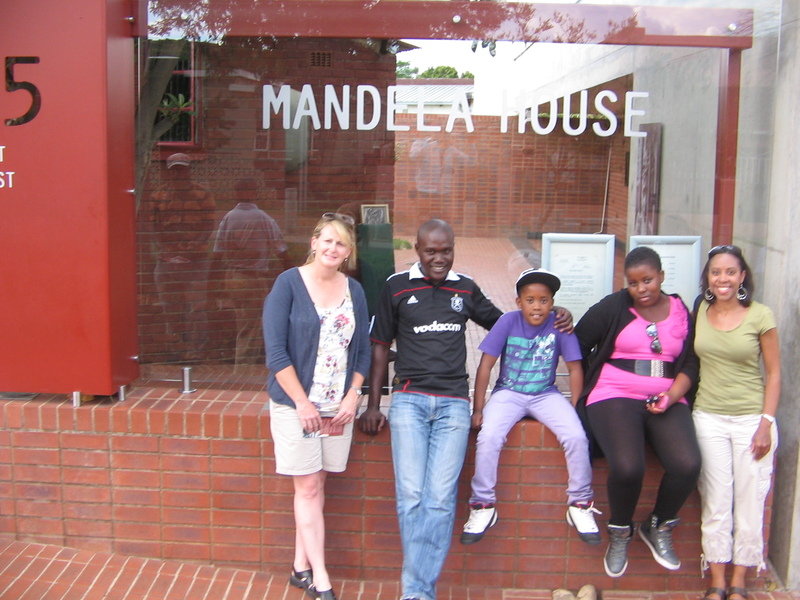 We spent a delightful afternoon in Soweto, visiting Father Xolani’s mom and meeting several of his family members. Father Xolani is a great friend of my church and is the current rector of St. Monnica’s. 9. It was amazing to experience South Africa with my friend Jen, who offered to travel with me in order to be an extra set of “eyes and ears” during my interviews and meetings. Her moral support and wisdom was invaluable. Plus, we had a great time together. I will forever be thankful for her sacrifice of time and money. I am so grateful for our friendship. 10. After days of meetings and interviews and much prayer, I feel confident about which organization I believe God is calling me to serve. After I meet with my discernment committee and finalize things with the necessary people, I will make an announcement. My right side was drenched in red wine, and I hadn’t had anything to drink. “Oh, I’m so sorry,” said the flight attendant as she hustled me to the back of the plane. Thankfully, I was wearing a T-shirt, something to which I wasn’t particularly attached. Jacqueline scrubbed my shirt, gave me a clean shirt to wear, and some frequent flyer miles for the bother. It was dawn as we descended into Amsterdam. The city looked beautiful in the time between night and day; the lights were glowing, the canals twinkled in the budding light, and red taillights beamed from the motorways. I always giggle when I think of Amsterdam. When I was studying in England, I went to Amsterdam for a weekend. My English friends gave me a hard time; they couldn’t believe I was going to Amsterdam just for the art. Of all the Americans on the trip, my friend and I were probably the only students who went there solely for the Rembrandts, Rubens, and Vermeers. While I was waiting for my connection in Amsterdam and still reeling over paying seven dollars for a measly pastry and a very small cup of coffee, I struck up a conversation with a gentleman named Garry. He grew up in Zululand but has lived in Texas for thirteen years. He’s an engineer and fixes oil rigs all over the world. Garry was very familiar with The Upper Room, since he was involved with the Walk to Emmaus. We talked for more than an hour about life in South Africa and about faith. We exchanged cards and promised to be in touch. He’s a delightful man with many connections to NGOs in his native country. God is blessing my life with such amazing people before I even hit the ground in Cape Town. We’re flying over the Italian Alps now, and the scenery is stunning. Snow-capped mountains stretch toward the sky; tiny villages dot the landscape. This is one of the few times I’m grateful to have a window seat. “Please call me as soon as you can,” said the voicemail. Oh, no, I thought. This can’t be good. I called my friend and traveling companion and found out that she isn’t able to fly out today. My poor friend spent last night in the ER with an awful stomach bug. She won’t leave Nashville until Tuesday. Please keep her in your prayers for a speedy recovery. I’m now at BNA, waiting to board. I’m amazed at how calm everything is on this Sunday after Thanksgiving. Usually, it’s a zoo at the airport on this post-holiday weekend. I also had my first experience with the infamous “naked machine.” I hope my picture isn’t plastered all over the Internet. 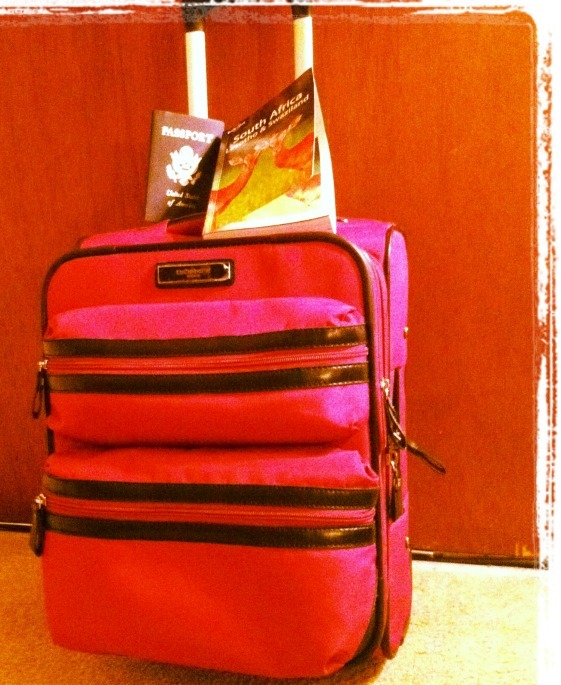 I’ll be traveling for the next 24 hours, plus some–Detroit, Amsterdam, Cape Town. It has been sunny and nice in Nashville for the past few days, but today it has turned cold and rainy. It will be nice to have summer again for 10 days. “It was the best of times, it was the worst of times” comes to mind when I think of all the preparations I still have to make for my placement visit to Cape Town. (Leave it to Dickens to say it best.) Getting sick last week threw me for a loop and got me behind in everything. I’m still not hundred percent, and I’m trying not to get overwhelmed as I begin to hash out my to-do list. While I was sick, I started to think about the true purpose of my placement trip. I have been so busy with the preparations that I haven’t had much time to think about the reason why I’m traveling to Cape Town in the first place. Yes, I’m going there to visit four organizations–Scripture Union South Africa, Growing the Church, Anglican Youth South Africa, Anglican Students’ Federation–with which I may work for the long term. But what do these visits really signify? A lot, to tell the truth; and I’m somewhat nervous. My skill sets and personality needs to match their needs and vice versa; my placement needs to be a good fit. I think my fears go back to the old elementary school fear with which we adults still struggle: Will they like me? Will they want me to be a part of their team? I’m praying for God to help me lay aside these fears and to trust him to lead me to the right organization. In the end, that’s where I want to be; there’s where I can make a difference, give, receive, learn, and grow. God has been guiding each step of my journey to become a cross-cultural Christian worker, and I know God will continue to do so. I just need to listen.